Winter is officially upon us and we are definitely feeling those freezing cold nights. Have your little ones sleeping as snug as a bug with one of these striking Minky Cot Blankets. Custom made and personalised with your child’s name, they will treasure it for years to come. From the online store, Signature Creations the large Minky Cot Blanket is perfect for keeping your sleeping baby warm. 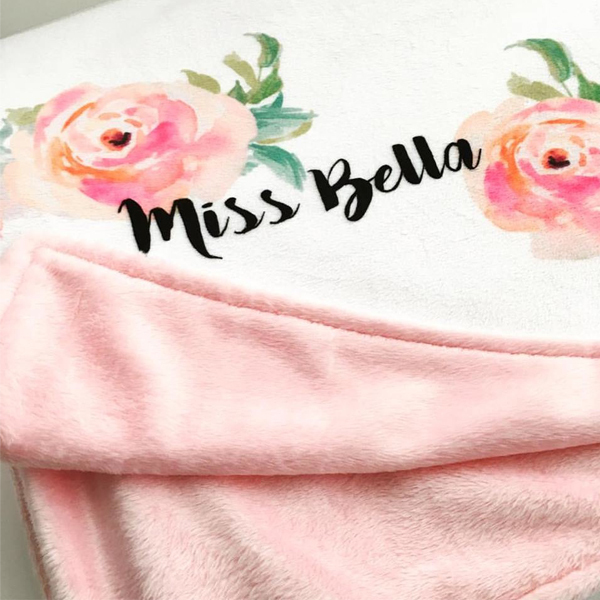 These personalised blankets look so comfy and cosy that you may just want one for yourself. 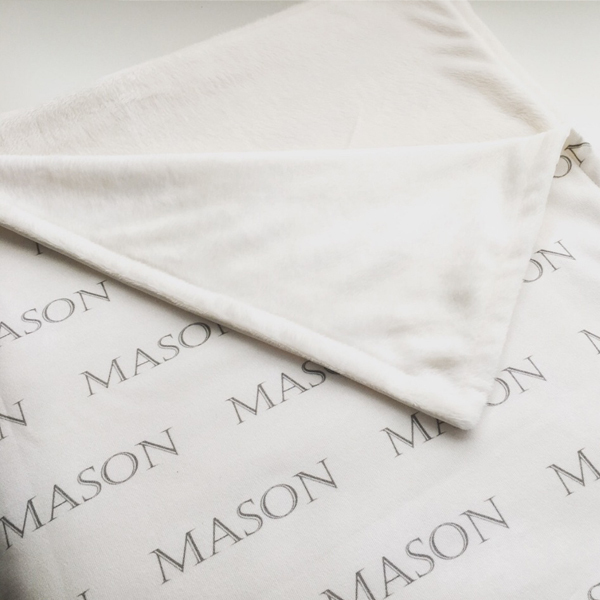 Available in an array of fonts and colours, using eco friendly baby safe inks, your child’s name is printed on organic cotton backed with a silky soft minky. Measuring a generous 120cm by 90cm, the Minky Cot Blankets fir both cots and big kid beds. These divine blankets also make for a comfy throw, a place for tummy time or an excellent one of a kind keepsake gift. Priced at $140 you can order online directly from Signature Creations.